Comment on Special Memories Blanket Part Three by Mistie Bush. The row numbers have been updated. Please let me know if you still need help. It is my pleasure Melissa. Glad to hear Magic is thriving. I look forward to seeing updated pics of her and your latest crochet project. Congratulations on teaching. Hope to see you in a week at DFW! Congratulations! You are the second A.C. Family to get the Egglicious Dishcloth PDF. Thank you for showing the love! Congratulations! You are the first A.C. Family to get the Egglicious Dishcloth PDF. That’s awesome. Ours is full of energy all day long. lol There is no sitting down unless they take a nap but that is when I try to do the dishes and get other things done. Thank you Chris. 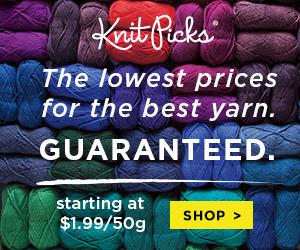 Just curious if you used the recommended yarn when you first tried the pattern? If you still need help let me know.